After the very successful 1st TOFARM Film Festival comes a new competition to weave music about farmers, farming, agriculture and bountiful harvest. Universal Hervester Inc. launched the 1st TOFARM Songwriting Competition in a press conference last September 10 at EDSA Shangri-La Hotel. This competition is open to both amateur and professional composers. 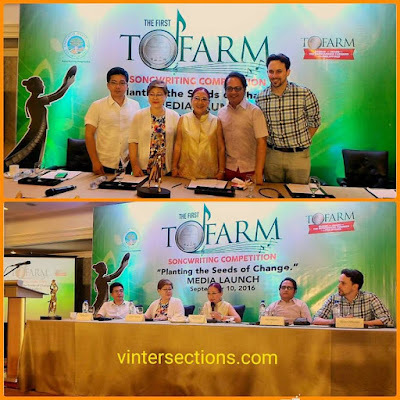 Aside from Dr. Milagros How, the panel was composed of UHI Project Director Rommel Cunanan, NAMCYA trustee Luchi Roque, Ballet Philippines resident music director Jed Balsamo, former Philippine Philharmonic Orchestra music conductor Olivier Ochanine. 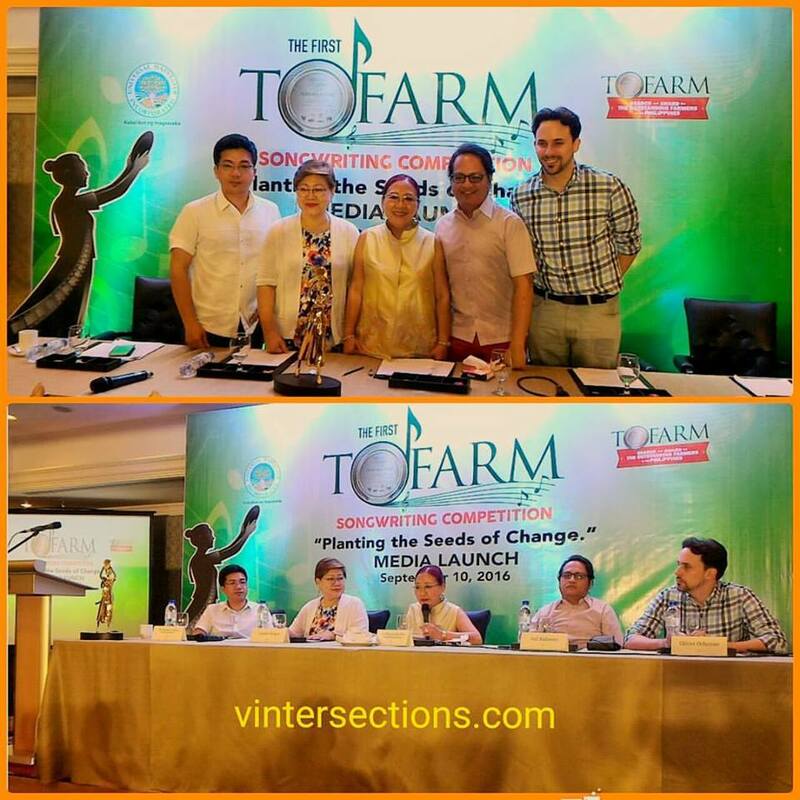 Guided by its theme, “Planting the seeds of change,” the First TOFARM Songwriting Competition is open to all Filipino amateur and professional songwriters. Different song genres are encouraged and suggested, but not limited to: Folk/Acoustic, Rock, Jazz, R&B, Country, Pop, Inspirational, Ethnic and Fusion. 1. Duly accomplished application form which can be downloaded from www.tofarm.org. 2. A copy of a valid ID with specimen signature of the applicant (including co-applicants, if in collaboration). 3. A song entry in mp3 format labelled with the title and the contestant’s name or pseudonym directly on the CD. 4. Lyric sheet (in English/or in any Filipino language, line-by-line translation, if applicable) – two hard copies and one copy in pdf file in the song entry CD. 5. Criteria in choosing the song entries are quality of composition, lyrics and its originality. 6. Nine (9) finalists will be chosen by the TOFARM Listening Committee. Results shall be announced on December 5, 2016 through print media and website announcements. Each of the finalists will receive a certificate and P40,000. 7. From the finalists, a grand prize winner, 1st runner up, second runner up and the People’s Choice (Prix du Publique) will be chosen during a special live concert happening on February 6, 2017. 8. Aside from the trophies, the grand winner will receive P300,000 cash; the first runner up, P200,000 cash and the second runner up P100,000. The People’s Choice award will also receive P75,000. 9. 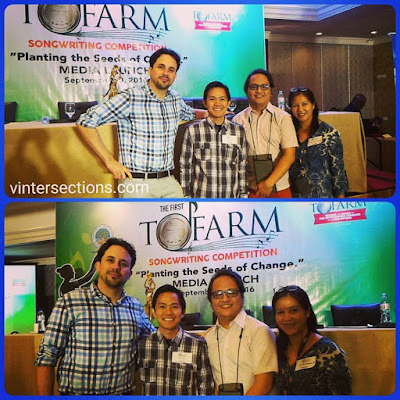 Complete entries must be submitted on or before November 18, 2016 at the TOFARM Songwriting Competition, ToFarm Secretariat, 10th Floor, Harvester Corporate Center, 158 P. Tuazon St. corner 7th Street, Cubao, 1109 Philippines.